The ice cream shop I wanted to hate, but discovered I couldn't. Milk ‘n Cream is barely a month old, a new fixture at the corner of Greenville and Ross, which, once Toasted Coffee + Kitchen opens, may well be the most insufferably hip corner of Dallas—and by insufferably hip, I mean Instagrammable. 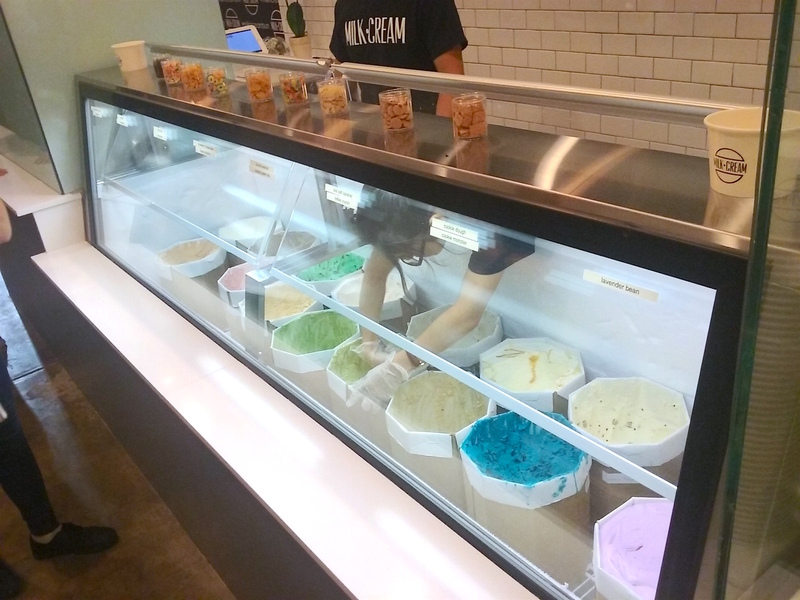 Everything about the new ice cream shop made me harumph skeptically. The minimalistic-pretentious name (not to be confused with Milk & Honey, the chic boutique down the street, near Houndstooth Coffee on Henderson). The concept, which I recognized: ice cream scoops hot-pressed, Panini-style, inside a milk bun and edged with toppings (for a visual, ogle this fantastically successful concept out of California), which every photo had indicated brought together two of the most ubiquitous visual Instagram trends: (1) the ice cream cone photographed dripping before a brick wall; (2) the cross section of a hand-held morsel (usually bagel or sandwich), preposterously piled with vibrant, mouthwatering strata. All too easy to imagine ho-hum ice cream shoved inside a doughnut, shedding Captain Crunch, triumphantly held aloft for a close-up. Never mind the taste; it would look good in profile. I had my misgivings: I see you, Instagram bait; I know your game. But it’s not all empty marketing if the flavor holds up. And so it was. The ice cream was legit. Wonderful, actually, the flavors clean and direct, the texture creamily churned. I shouldn’t have been surprised. Despite the hype. Despite the vehicle. It comes from a legitimate tradition, this sandwiching of frozen custard into buns. 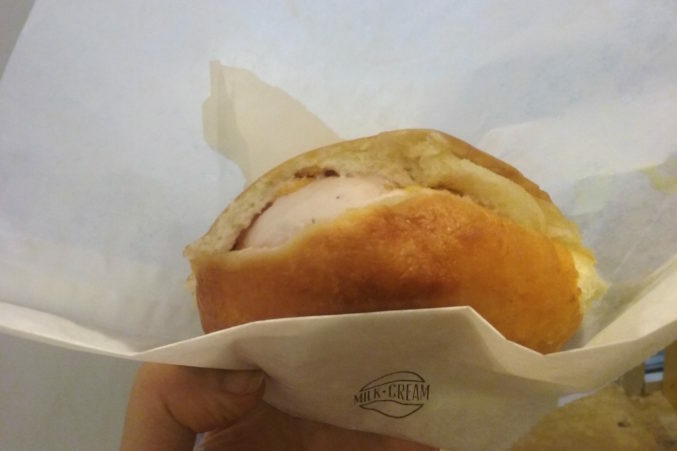 Think of Thailand, where coconut ice cream nestles in a soft hot-dog bun. Think, too, of Filipino halo halo and other ice creams with wild and unreal colors. In LA and New York, some of the best matcha and black sesame ice cream comes out of places with crazy neon signs that belie the quality of the ingredients they’re using. Aside the purple lavender flavor and the Cookie Monster, dyed an alarming blue, there were no lakes of artificial color. Banana-walnut was pale white with big walnut chunks. The matcha is excellent, creamy with the perfect degree of astringency. Cinnamon hummed gently with the spice. Try toffee crunch. Salted caramel. Deep, dark chocolate. Madagascar vanilla. The strawberry is wonderful. (How could it not be: like a strawberry doughnut?) 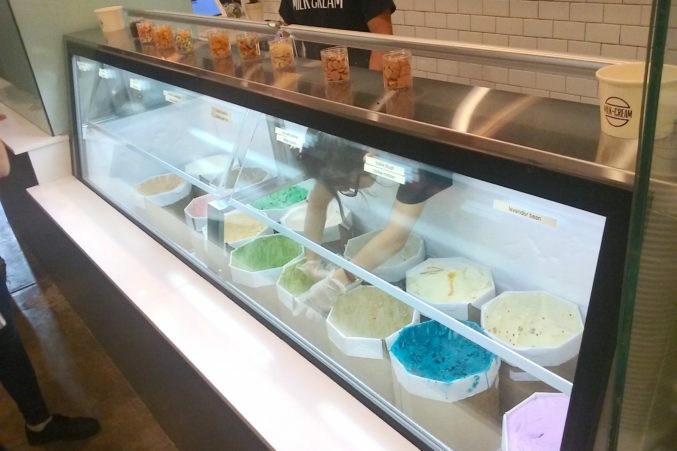 I knew, immediately, I would be adding this to my list of ice cream spots (they offer it in simple scoops as well). 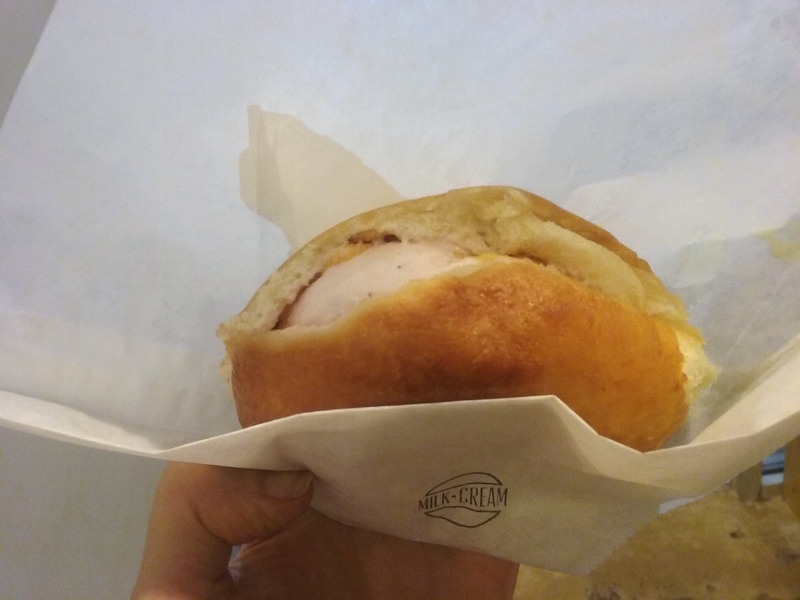 By the time they handed it to me, warm, round, and inviting, a half matcha/half strawberry ice cream sandwich (yes, I struggled with decisions) with the crackle and crunch of cornflakes (you can go under the sign of Cinnamon Toast Crunch and rainbow sprinkles, too), the milky-bun dared me to be a hater. I couldn’t. And the Instagrammable cross-section cut? Only upon request. For some reason, I felt better about the world.